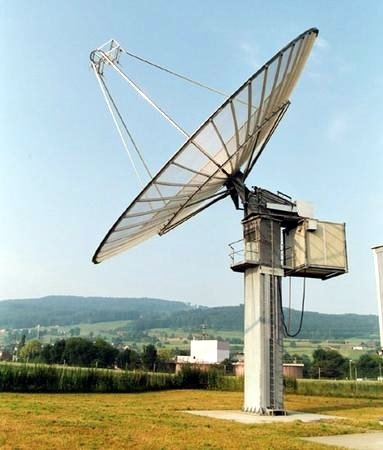 Over the years, QST magazine has had more articles on antennas than any other subject. This is probably because your antenna, although it can be the least expensive, easiest to construct component of your station, can have the greatest effect on performance. Over the course of their Amateur Radio "careers," most hams enjoy trying a number of different antennas at their stations. Most hams change antennas more often than they buy new rigs! This page links you to many different antenna articles and pages on the ARRL web site. The menu on the left provides links to other pages and even more articles and links you can try. You can also select from the links below to some of the more popular antenna pages. QST June 2001, p. 91 A well dressed climber should wear a belt and a safety harness. The solution to "getting out better" is not necessarily "more power". .
Crud and rust can be a real detriment to the performance of your antenna. Here are some procedures to make it look (and work) like new again. Step-by-step tuning of a gamma matched Yagi antenna and other thoughts on installation. EZNEC Antenna Software by W7EL Roy updates NEC by providing a modern user interface. G4FGQ's Software This memorial site archives the software written by Reg Edward's G4FGQ. Not freeware -- just free gifts -- please help yourself -- no catch. A program that lets you see what the polar diagram of your relatable beam antenna actually looks like. N1LO's Notepad Tower Page Mark Lowell N1LO, has a page on putting up antennas on towers. Welcome to Cecil's Amateur Radio Home Page Cecil Moore W5DXP, ex WN5DXP, of Tyler TX, has a page on antennas. Stacking Yagi Antennas by Ian White GM3SEK. On-line antenna designers, rooftop tower plans, gamma matches, and more by Aaron Schmitz KB0YKI. How to repair a CDE/Hygain/MFJ Rotator by Jim Pickett, K5LAD.